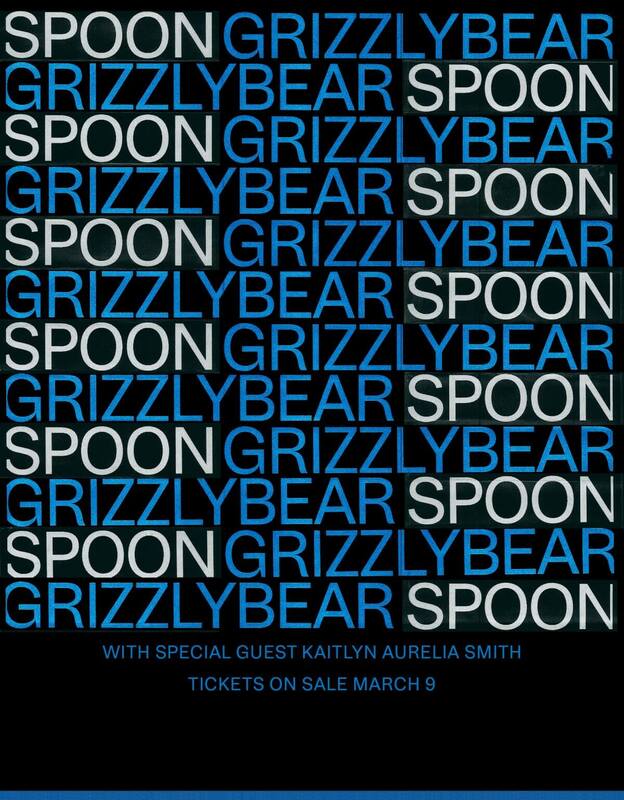 Adding to the band’s relentless global routing in support of ‘Hot Thoughts’, Spoon have announced 7 summer shows with Grizzly Bear and special guest Kaitlyn Aurelia Smith, including a June 20 date at Brooklyn’s Prospect Park. $1 per ticket for these dates will go to PLUS1 in support of Everytown for Gun Safety Support Fund’s mission to prevent gun violence and build safer communities. Tickets go on sale Friday, March 9 at 10am eastern — links and new gigs in bold below.